Natural cider is the typical regional drink in Asturias. 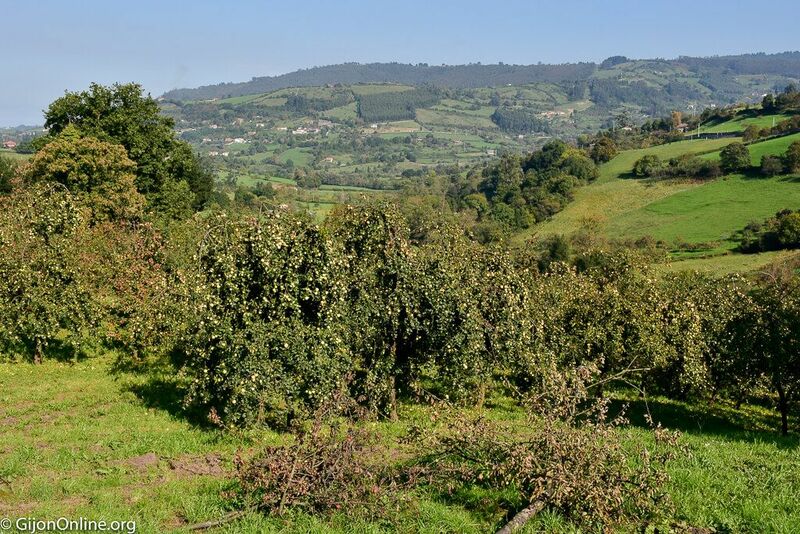 The origin of the cider in Asturias already goes back at least to the time of the Romans. 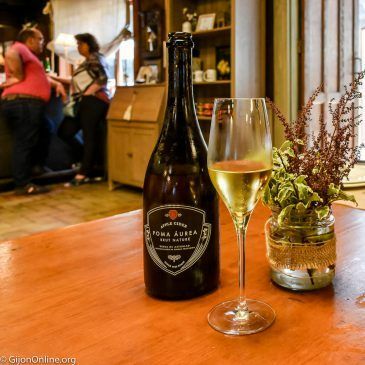 The shortage of wine, and the abundance of apples led to the elaboration of this spirit with fermented apple juice. 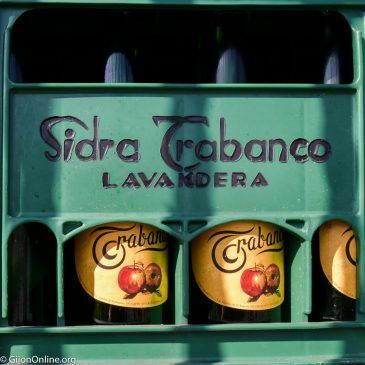 “Llagares” are several artisanal cider breweries including Sidrería Trabanco. 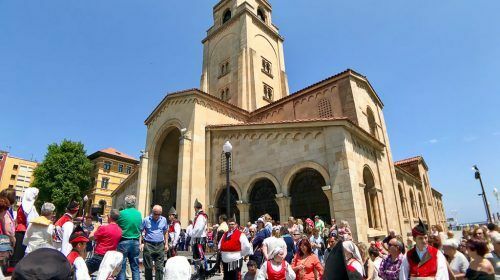 It is located only a few kilometers from Gijon in the parish of Lavandera. 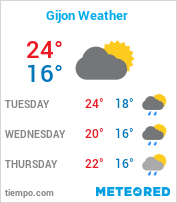 Even though relatively close to the city, you experience already the Asturian countryside surrounded by apple trees. The family-run business Trabanco started by Emilio Trabanco in 1925. 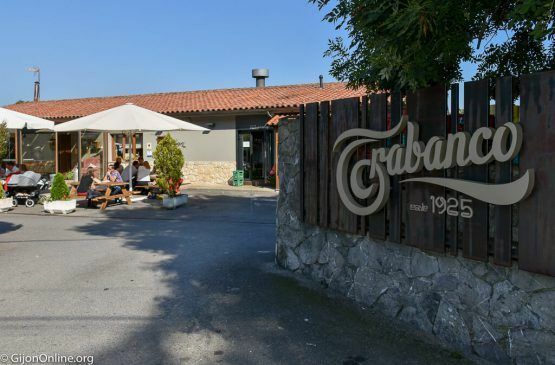 It is a trendy natural cider brand in Asturias. Even more, they sell internationally to other European countries, Americas and even as far as Asia and Australia. 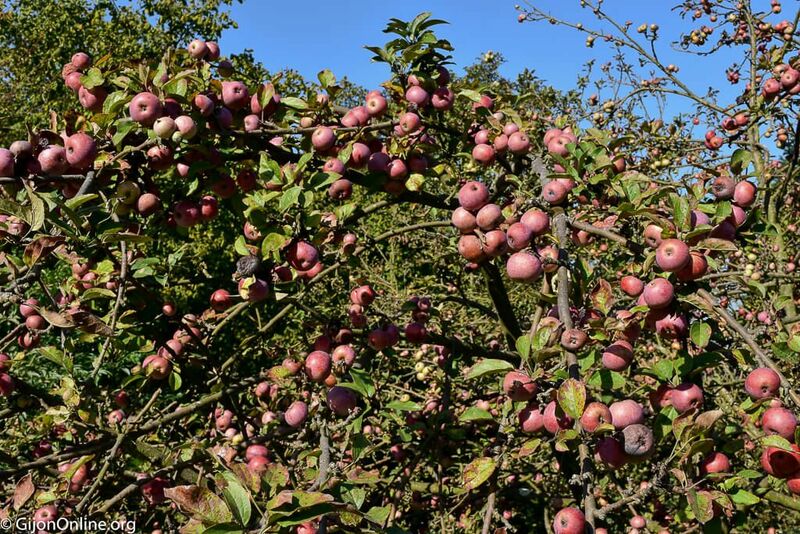 The apple harvest happens during the fall. Consequently, it is the perfect time to visit one of these places. 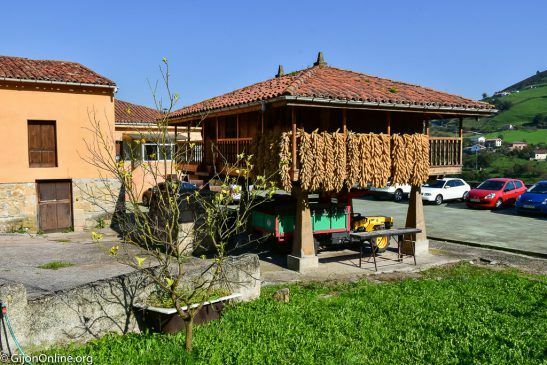 You see at first hand the process of making natural cider in Asturias. Workers select the apple harvest by hand. After, they transport to the processing center. The apples are then cut and crushed (“mayanza“). 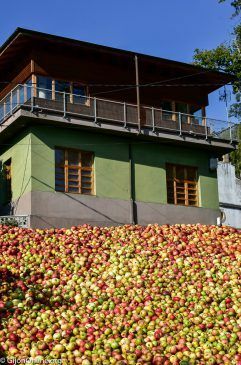 The typical Asturian apple carefully selected for their relevance to the most artisan production. Thus, apple categories depending on their sweetness, bitterness, and acidity, and processed with mills. 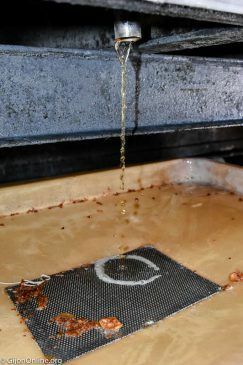 Once the apples complete the grounding, the next step is pressing in mechanical or hydraulic presses for several days. 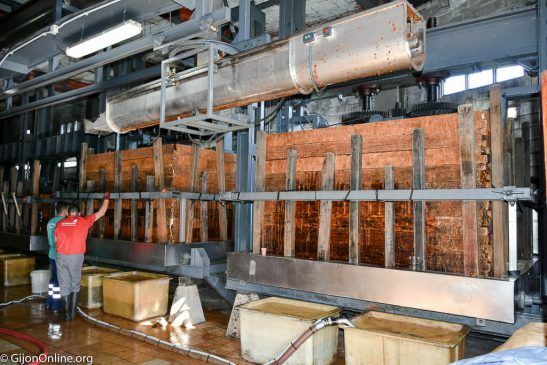 During this step, several cuts made in the pressing mass maximize the production of apple juice. 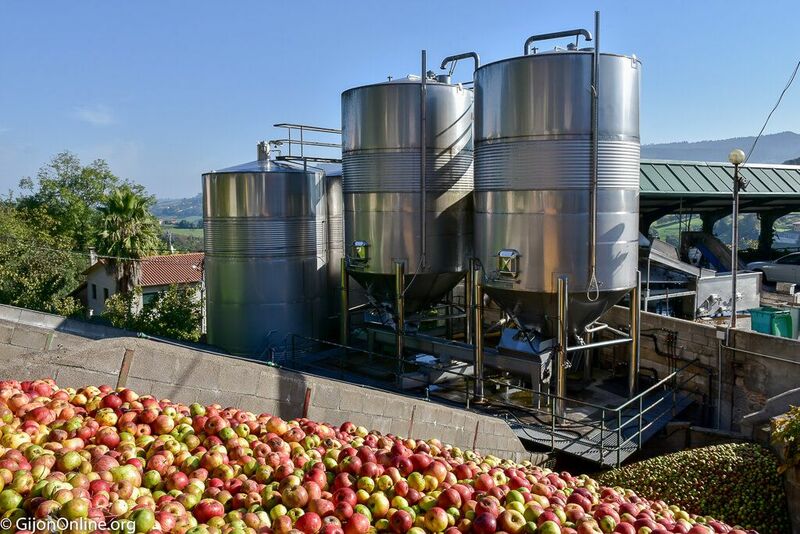 The apple juice goes to large barrels for fermentation and subsequent bottling. 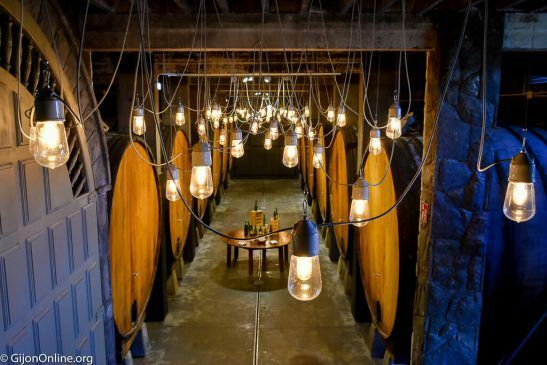 An oenologist closely monitors the process to ensure the best quality. 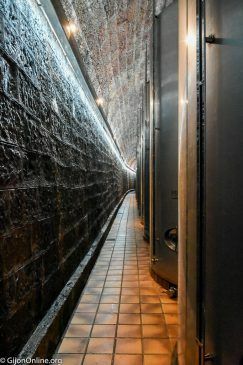 As part of the guided tour, Trabanco also includes a visit to their cellar (“Tunel de la Sidra“). 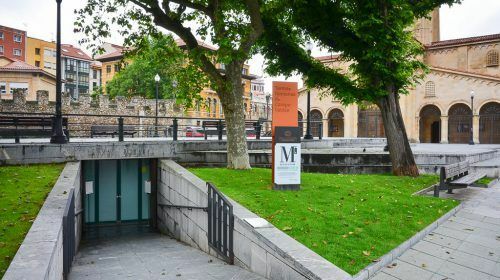 A former railway tunnel from 1892 for coal transportation to Gijon refurbished into an extensive vault. 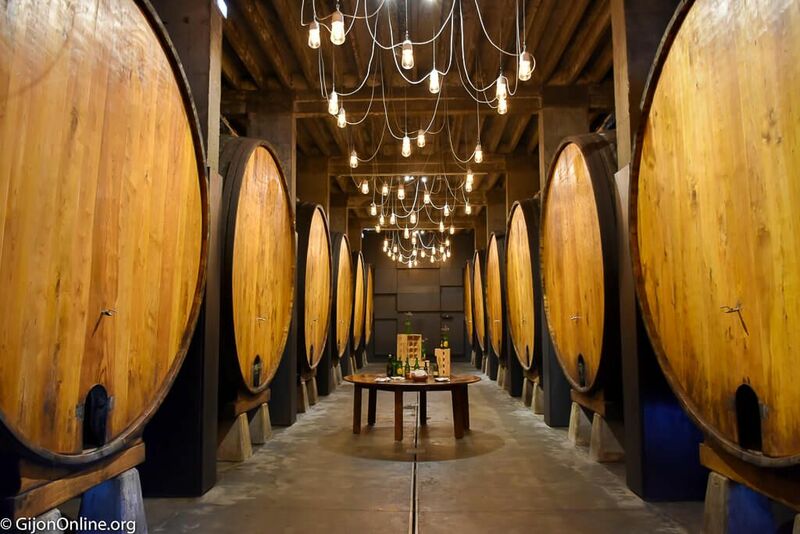 It is now a massive cellar with 38 steel barrels and 12 wooden barrels. The capacity surpasses 1 300 000 liters. 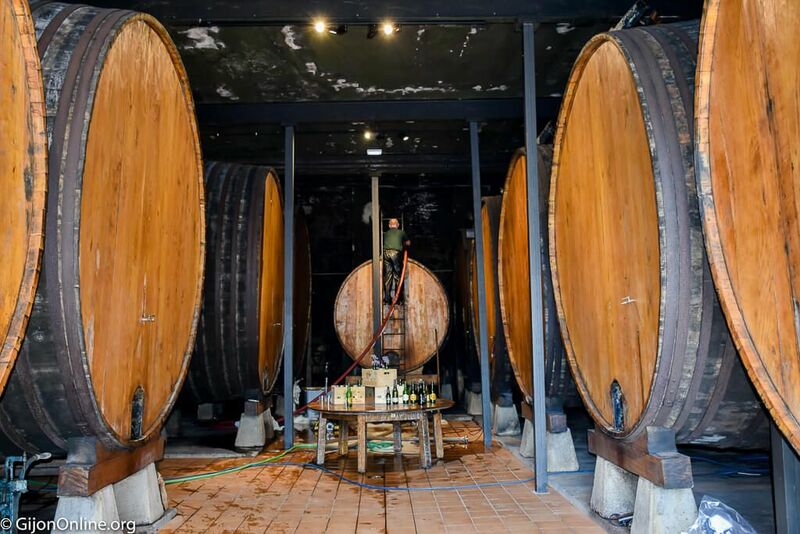 The guided visit also includes the tasting of natural cider and Asturian cheeses and a mini-course of “escanciado.” This technique pours the cider in a certain way to provide gasification to the natural cider. Picking up the bottle with the raised hand, then pour it on a wide glass to oxygenate. 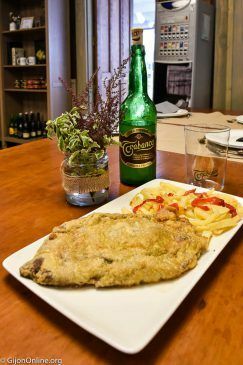 There is also added option for a special meal of typical Asturian dishes with cider pairings. For more information on Trabanco products and their tourism activities, please visit their web pages available in Spanish, English, and French. 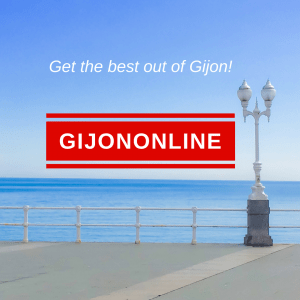 Furthermore, Gijon Tourist Information office has also information available on other cider breweries (“llagares“) to enjoy the cider route. 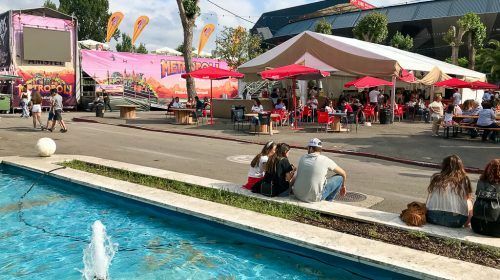 Gijon once again surpassed the Guinness World Record of simultaneous “escanciado” of cider with 9403 participants last 25th August 2017. Enjoy!